It took me a while to find my husband’s 2nd great grandfather and his 3rd great aunt. In the front, I can see a few of the newer upright markers so I decided to start all the way in the back and work my way forward. It turns out to be fruitful on the third row. 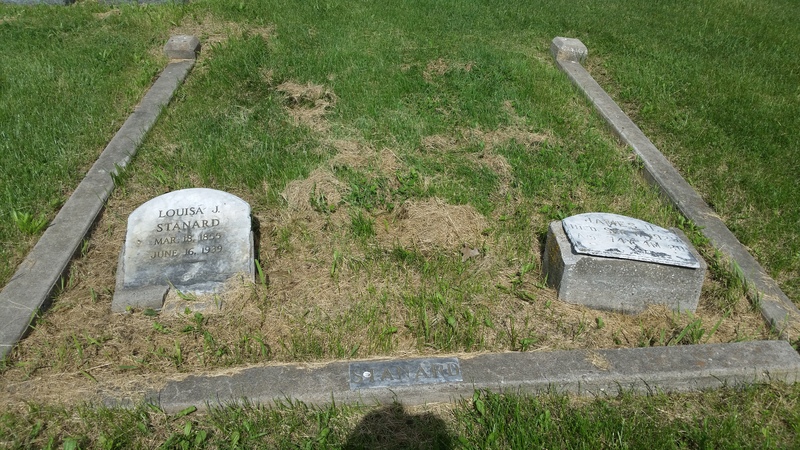 I first found his 2nd great aunt, Frances N. (Stanard) Raymo then I see it, I see his 2nd great grandfather’s tombstone, but it looks awfully short. I took a closer look and realized that it was buried. All I could see was a pair of hands. 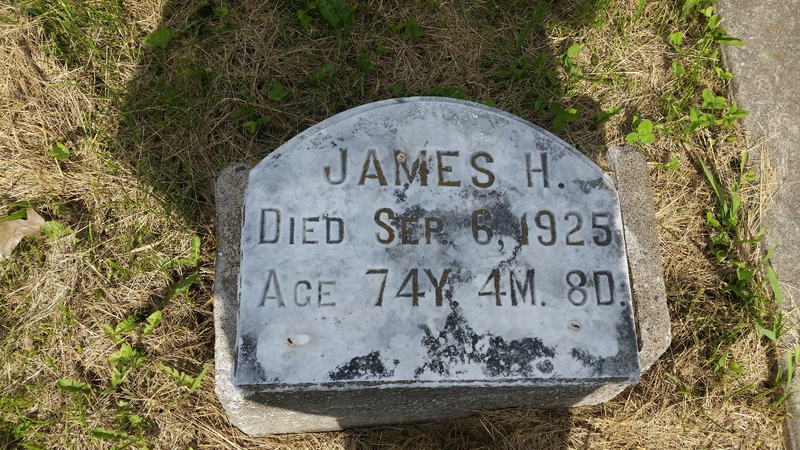 I pulled the ground away a little to verify that it was 2nd great grandfather and I see that the name was H.T. Stanard, yup, I found him!!! Here are some pictures from that cemetery find. The entrance to Pollock Cemetery – visited on May 11, 2015. Frances N. (Stanard) Raymo and Henry T. Stanard. After this cemetery, I headed on down to Brookfield, MO to visit Rose Hill Cemetery. 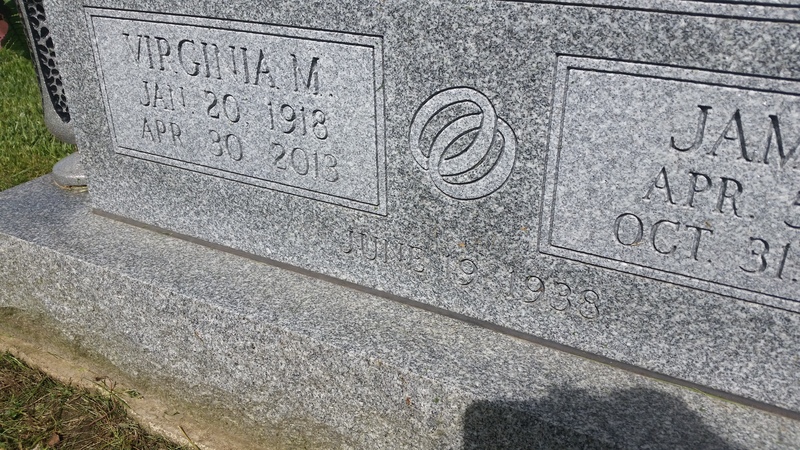 At this cemetery my husband has several family members. He has his Great-grandfather and Great-grandmother, James Hutton and Louisa Jane (Salsberry) Stanard. The Stanard plot is marked. My husband’s first cousin once removed, James Francis and Virgina Mae (Decker) Stanard. My husband’s Grand Uncle Elbert Mortimer and his 2nd wife Floy Ann (Stone) Stanard. 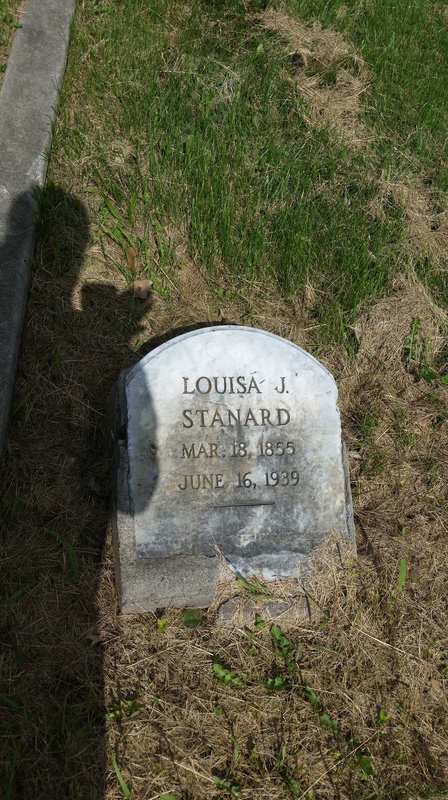 There was another Grand Uncle by the name of Logan Dewitt Stanard, and although the Sexton of the cemetery told me where his plot was located, I couldn’t find it. I’m wondering if there was no marker for his plot? Hmmmm, maybe. This road trip took longer than I expected, a whole 11 hours, but it was so well worth it!! Stay tuned for Day two of my adventures in genealogy coming up. « Day One/Part One of my Who Do You Think You Are Trip.